Fetch TV has received an update, bringing Tenplay to its lineup of catch up services. Tenplay joins SBS On Demand and ABC iView, with the company saying that it will be adding another free-to-air network's catch-up app next month. There's only Jump-in and Plus7 left. Other updates to Fetch TV come in the form of a Top Shows menu, which is updated every week and grouped by genre to find shows more easily, while a real time EPG will make recording shows a lot easier too and a Top Tips app for new users still finding their way around the set top box. Fetch TV has also added a new "Sneak Peek Trial Channel", that will showcase in full channels from the Entertainment package for 14 days at a time as a free sampler for those who may be considering subscribing to the Entertainment Pack. The first channel on trial is Nickelodeon, with other channels like Syfy, Disney Channel, MTV to be trialed in following weeks. Fetch TV is now also available in 192 Harvey Norman, Domayne and Joyce Mayne stores across Australia. This means you no longer need to be an iiNet or Optus customer to use Fetch TV, but you will need to subscribe and your data use will be metered - and you will also need a 3Mbps+ fixed broadband connection. 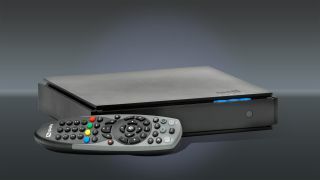 The Fetch TV set top box costs $379, while a Fetch TV Starter subscription costs $5 per month.